This picture was taken at Sundance in October 2009. I love the colors and shapes you can see in this photo. 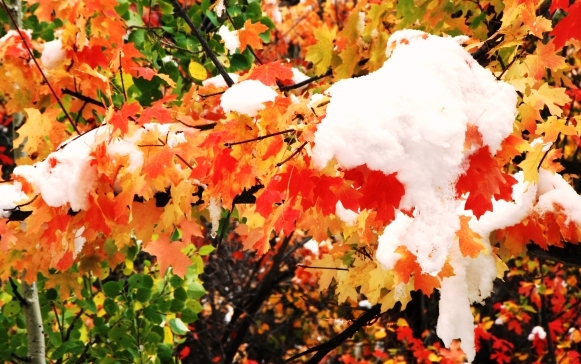 The greens of summer, the oranges of autumn and the white of snow. Loving all seasons makes this an ideal photo.